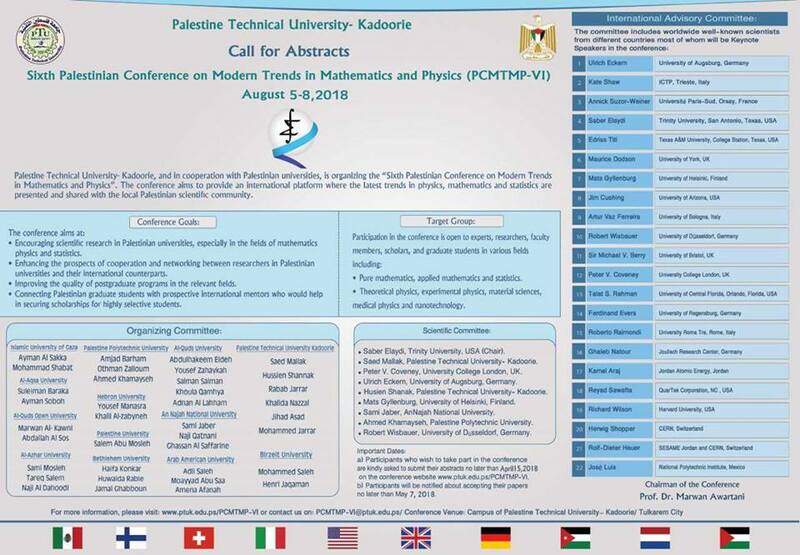 Palestine Technical University- Kadoorie, and in cooperation with Palestinian universities, is organizing the “Sixth Palestinian Conference on Modern Trends in Mathematics and Physics” (August 5-8,2018). 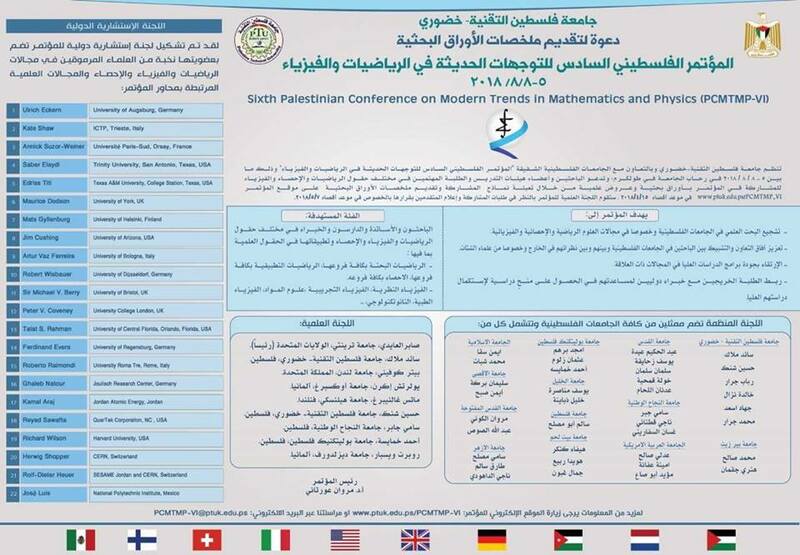 The conference aims to provide a multinational platform where the latest trends in physics, mathematics and statistics can be discussed in a productive, research-conducive environment. a) Participants who wish to take part in the Conference are kindly asked to submit their abstracts no later than April 15, 2018 on the conference website. b) Participants will be notified about accepting their papers no later than May 7, 2018. The Call for Abstracts is available in English and Arabic.